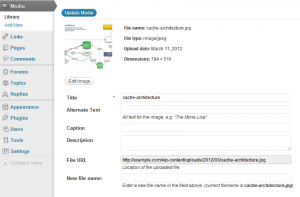 Rename Media Files is a WordPress plugin (download) that enables renaming of media files. 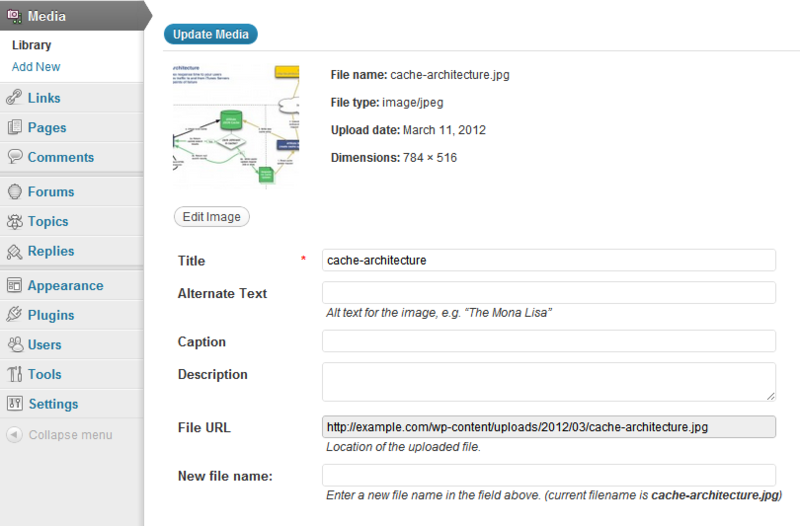 It adds a field in media edit form where you can enter new file name. After renaming, it’ll regenerate all intermediate image sizes (if media file is an image) and update all links inside posts. If you are translator, you can translate it to your language and send translations. Currently, Serbian and German (thanks Anja K.) translations are available. Rename Media Files is released under the terms of GNU General Public License. It is completely free so if you find it useful you can give something back to author. Your help could be done by giving donation, translating plugin to your language, sending bugs and suggestions, promoting plugin in blogs, forums social networks, and other websites.